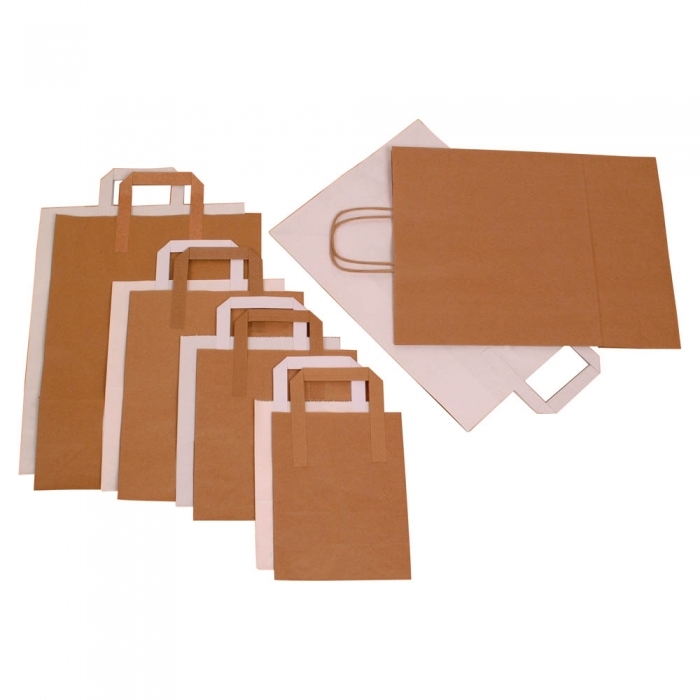 These brown & white kraft paper carrier bags are made from 70-80 gsm paper with block bottoms and paper tape handles. The dimensions are width x height x gusset. Commonly known and used as takeaway carrier bags and sold in packs.